FREE D&F App - updated link! It’s here! The first of several apps in development with Debbie and Friends! This musical app is bursting with songs, cartoon music videos, live-performance videos, concert dates, photos, and even a wall where we can post messages to each other. 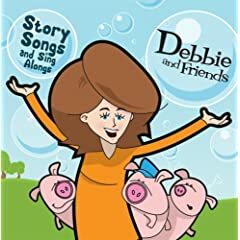 I hope you and your family enjoys the first-ever Debbie and Friends app! Here’s a link to more information where you can download the app for FREE for your iPhone and iTouch devices.